Fashion loves a long lean girl with a cool and nonchalant attitude. It loves it on a glossy page and on a directional runway and One has Amy G beautifully positioned this season to capture the coolest of those cool bookings. a meghan collison knock off. I especially love her bone structure in the first picture. OMG LOVE HER LOOK! ESPECIALY THE FIRST PIC!>. Yes indeed. She looks like the second coming of Meghan C., but I also see a smidge of Miss Karli Kloss too. Knock ’em dead Amy!!!! this girl is beautiful!!! such a sharp angled face! !Great for beauty and mostly high fashion!!! I would want to see her with hair back also to see that special face!!! Nice! And she does not look like Meghan C, same type but very different. 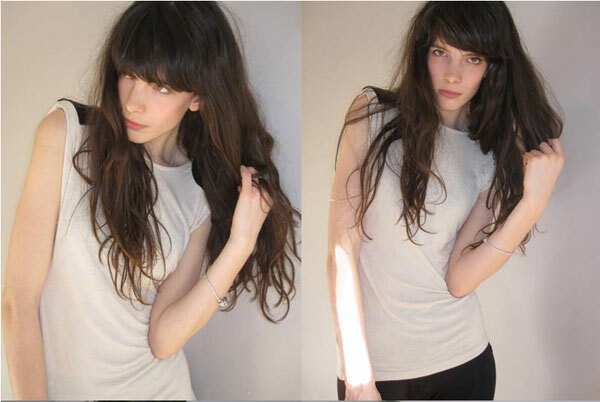 reminds me of Lilah Parsons from Nathalies – guess its the bangs!